Tecno Mobile has launched another innovative smartphone known as the Tecno Pouvoir 2 Pro Gold edition which has seem to address public misconception as the device which was rumoured to flaunt an 18karat gold back case, is really a sight to behold. 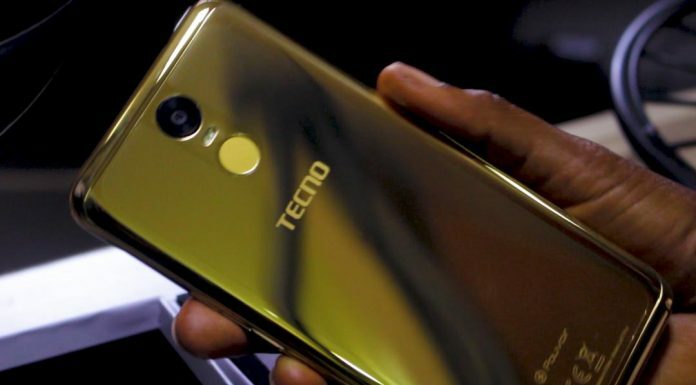 According to a statement signed and made available to THISDAY by the Public Relation and Strategic Partnership Manager, TECNO mobile, Jesse Oguntimehin, it was noted that after some days with the new device, two things specifically stood out for especially the design and the battery capacity. The statement also stated that in terms of the design and style,the TECNO Pouvoir 2 Pro Gold edition is a choice device for any user who intends to have a sleek and premium looking pocket fitting device. Oguntimehin added that the curves, Gold frame, placement of the rear cameras and flash, is just awesome. According to him, “For a 6.0-inch HD+full display smartphone, the new device is very slim to handle which allows users the ability to handle the phone with a single hand. Asides from its classy look and feel, the Pouvoir 2 Gold edition is a 5000mAH battery powered device that can run for up to four days after a single charge and is encased in a slim frame that acts as an amazing cover for the enormous capacity under the hood. This fits the habitual needs of smartphone users.